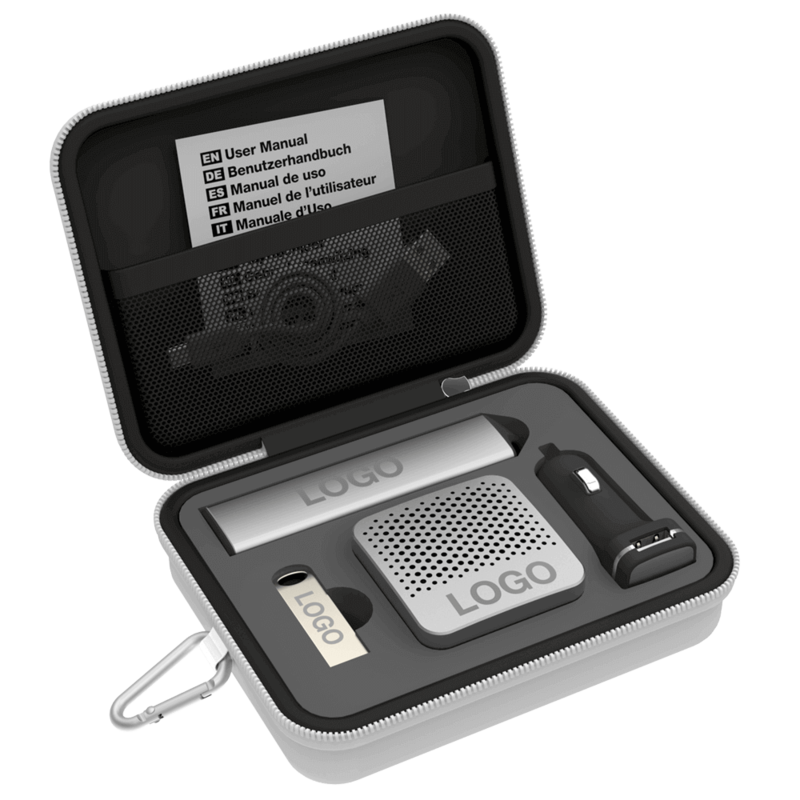 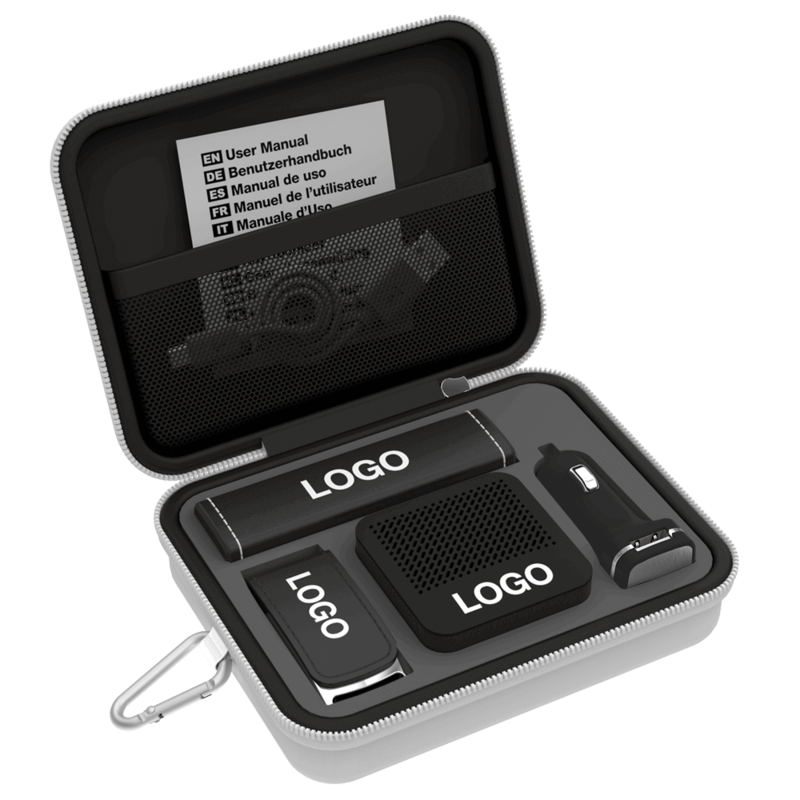 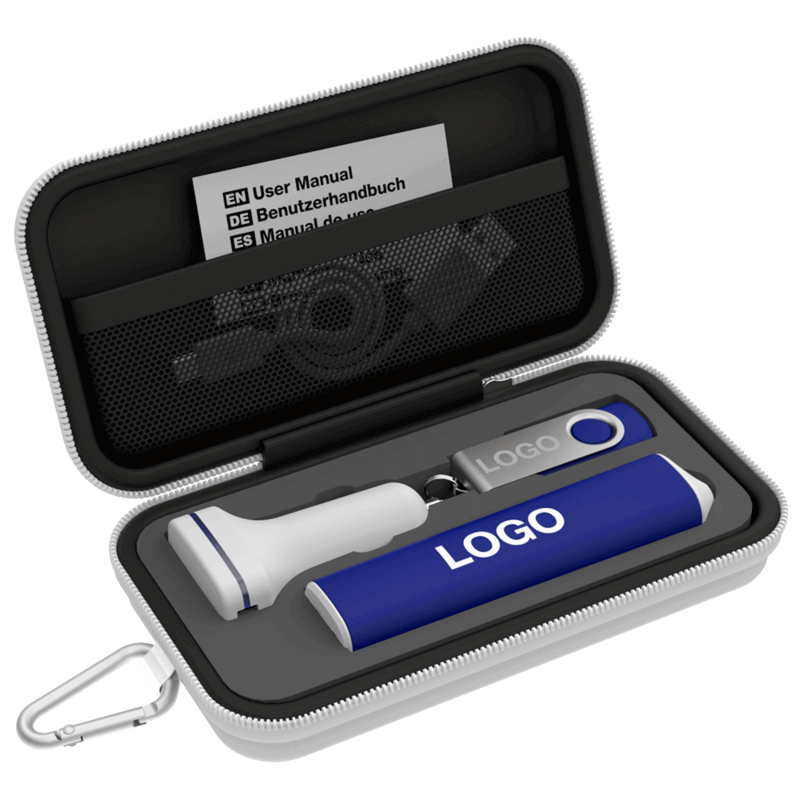 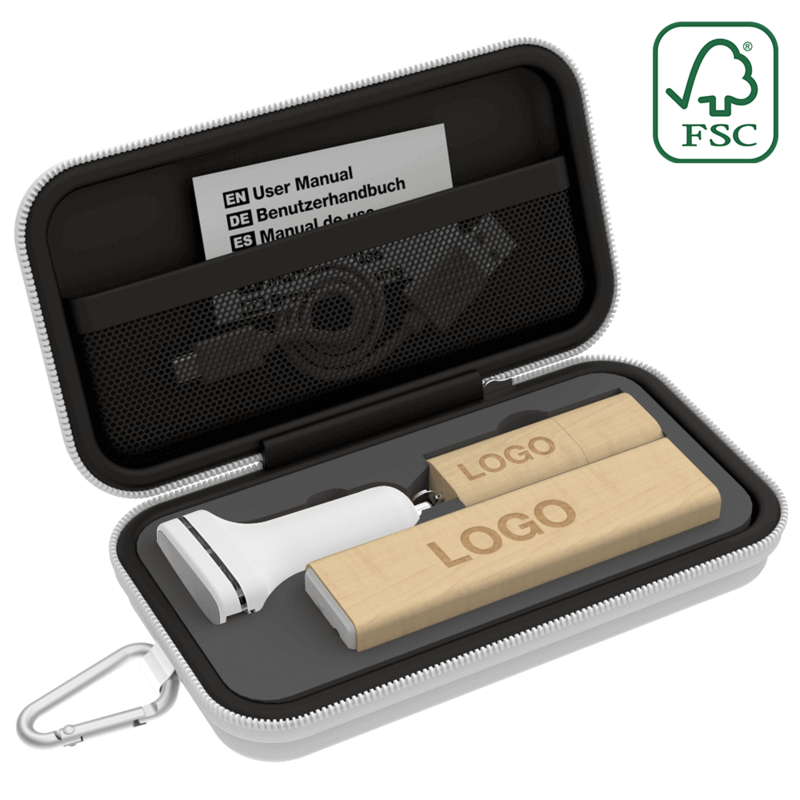 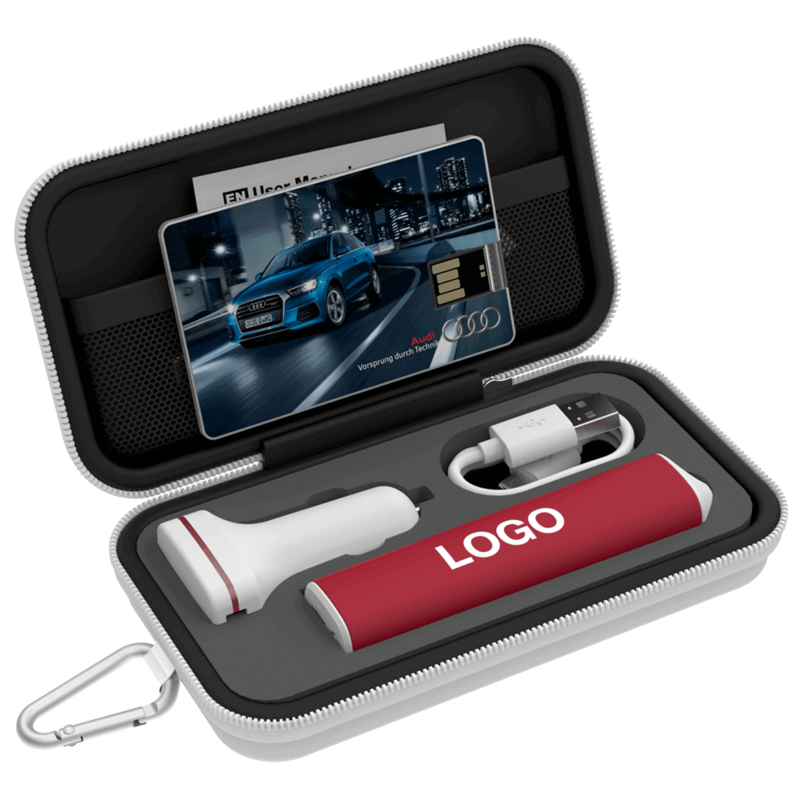 Designed specifically for promotional activities, our range of beautiful Travel Gift Sets can be branded with your logo and brand message. 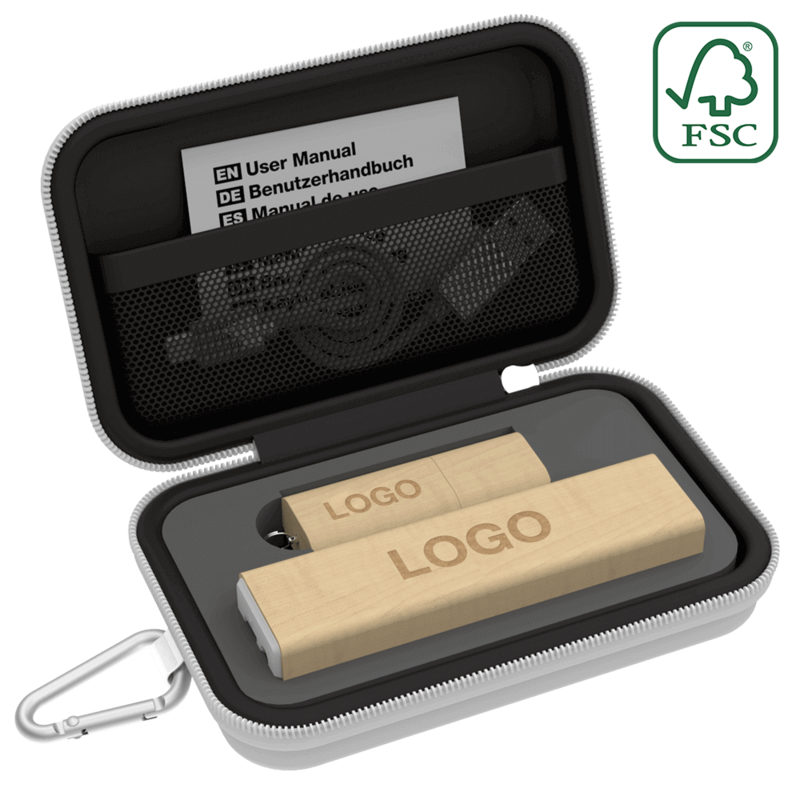 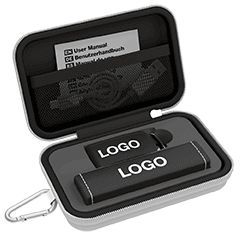 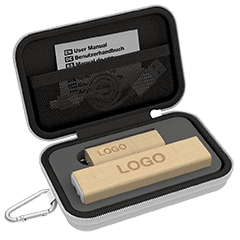 Available in 3 sizes, our Small Gift Sets include a Flash Drive and Power Bank. 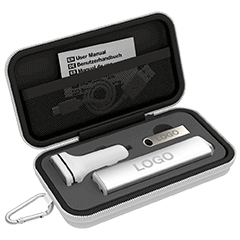 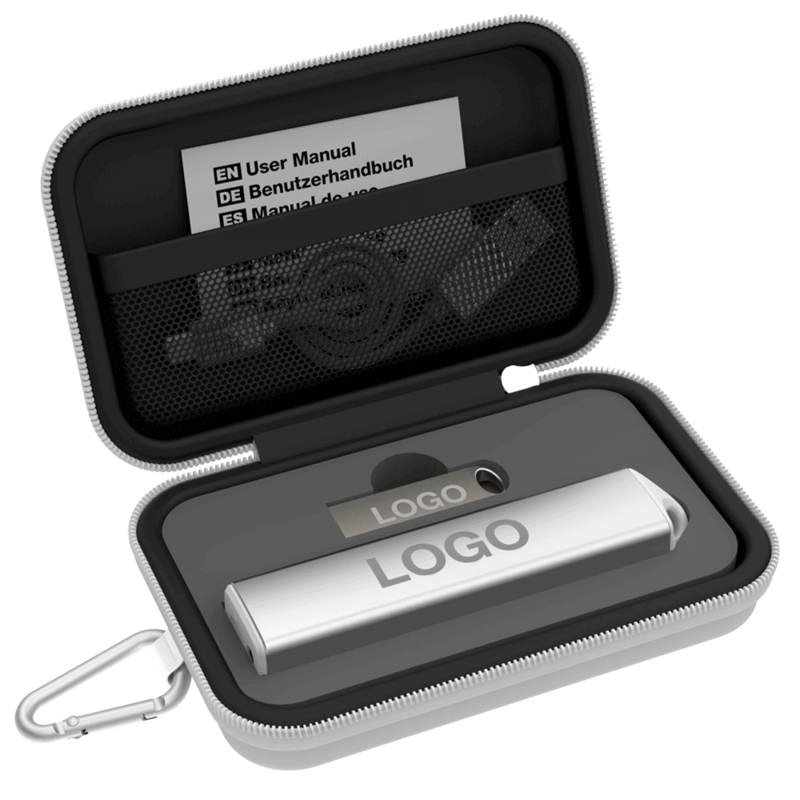 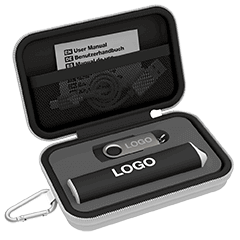 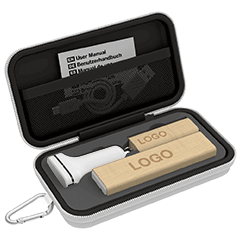 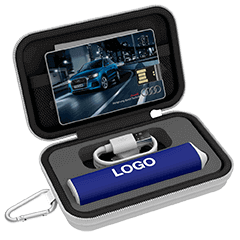 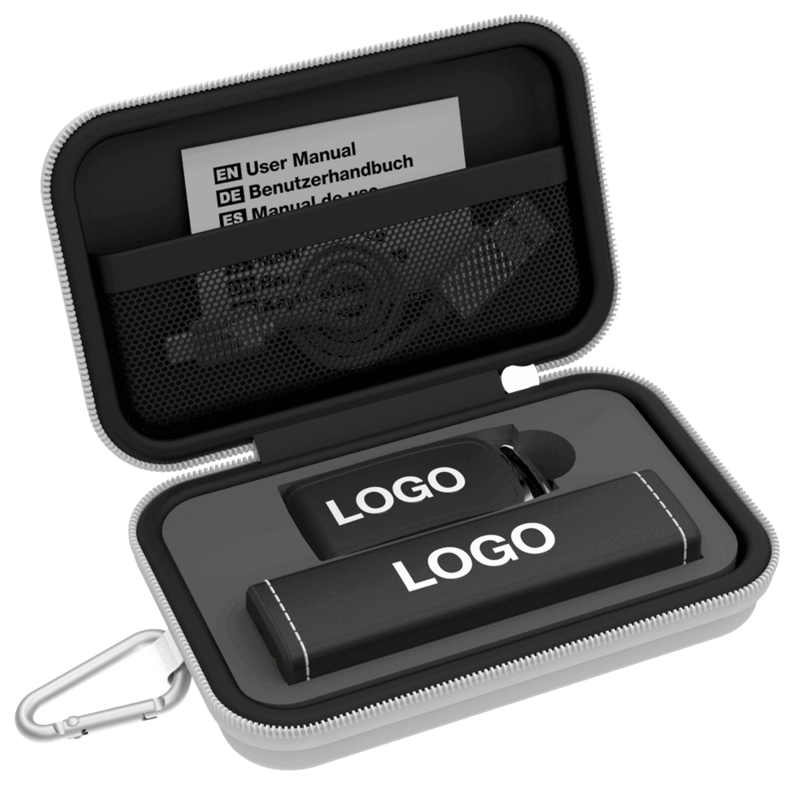 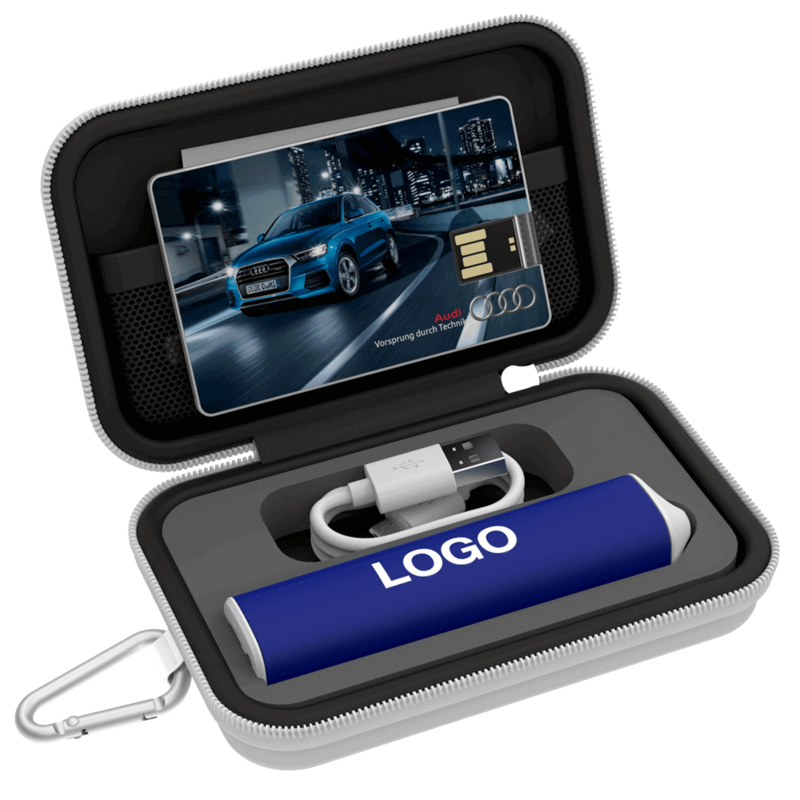 Our Medium Gift Sets come with a USB Flash Drive, Power Bank and USB Car Charger. 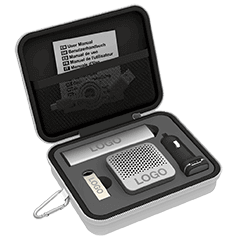 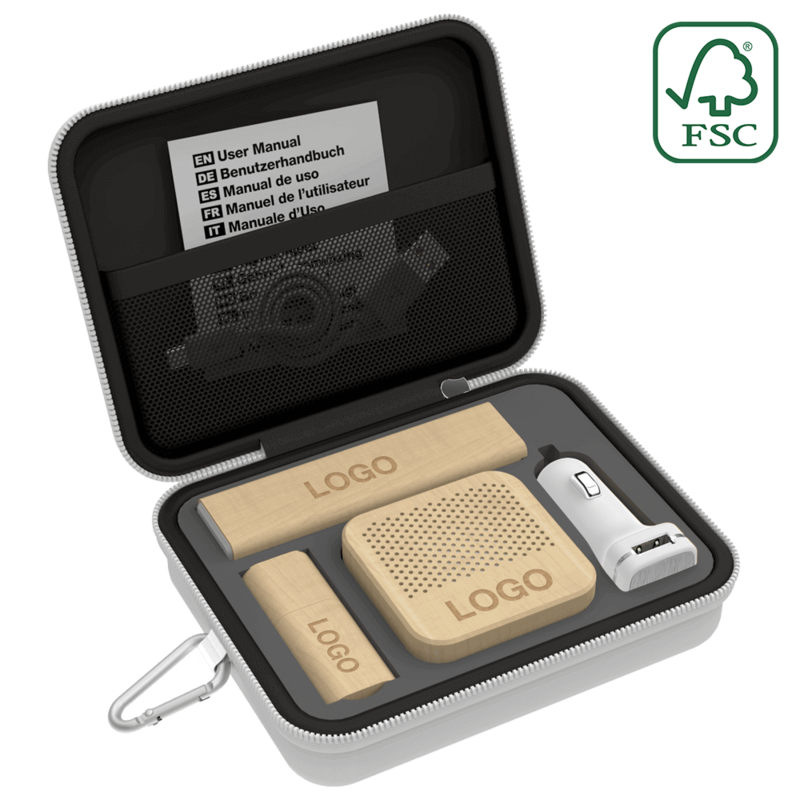 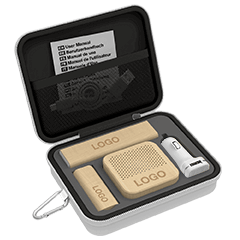 Our Large Gift Sets contain a USB Flash Drive, Power Bank, USB Car Charger and Bluetooth® Speaker. 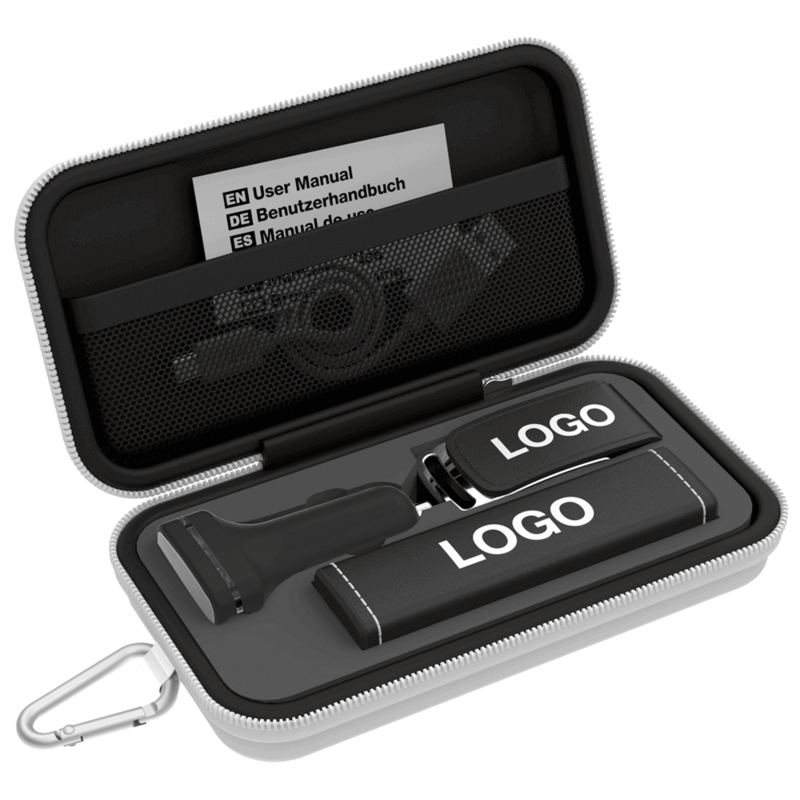 Each Gift Set also comes with a handy Carabiner.